A matter is anything which occupies space and has mass. It is all around us and made up of atoms and molecules of different kinds. We all are made up of matter and we use matter in our daily lives in different forms e.g. eating food, drinking water, sitting on chairs, riding on bicycles, breathing air and building our houses etc. All these things are made of matter. We Encounter matter in three basic states, which are solid, liquid and gas. There are two more states of matter, which are plasma and Bose-Einstein, but since we don’t encounter them in our daily lives so we will not discuss them. Solid is the state of matter that can hold its shape e.g. a rock, a grain of sand, a table, a chair and a cup etc. These objects don’t change their shape unless an external stress is applied to them. Solids have their atoms tightly packed together, they only vibrate but don’t go away from their position so that way their shape remains same. Solids are changed into liquid when heated and this process is called melting. Some solids are converted directly into the gas when heated without passing through the liquid state and this process is called sublimation. Every solid have its own melting temperature called melting point. A liquid is the state of matter between solid and gas, they have the shape of their container and they are not easily compressed. Unlike solids, which are fixed in shape. Liquids can flow as you can see a river of water. Liquids have flat top due to the gravity, as you can see water inside the glass which has a flat surface. When liquids are heated at their boiling point, they are changed into the gas. Gasses are the third and most common state of matter. We all live in the envelope of the air that surrounds the Earth called atmosphere. Atmosphere provides us precious pressure, oxygen and a protective layer of ozone, these things are very necessary for us to live. Gasses can flow like liquids and they are easily compressed. We can compress a lot of volume in a smaller sized gas tank e.g. 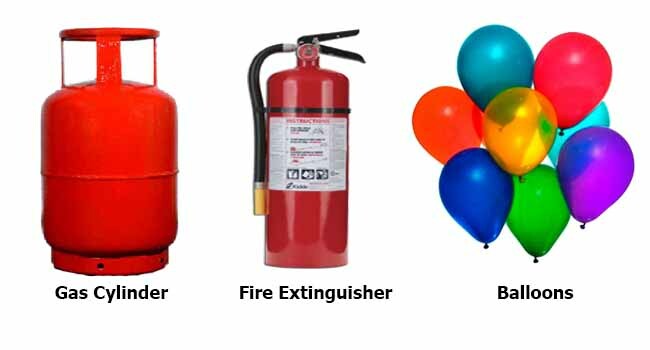 CNG, LPG and Fire Extinguishers, which are widely used all around the world contain different types of gasses at high pressure. Gasses are changed into liquids when cooled. Abdul Wahab, "States of Matter," in Science4Fun, April 13, 2019, http://science4fun.info/states-of-matter/.